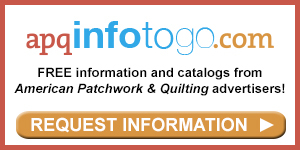 Get started machine quilting with these tips. 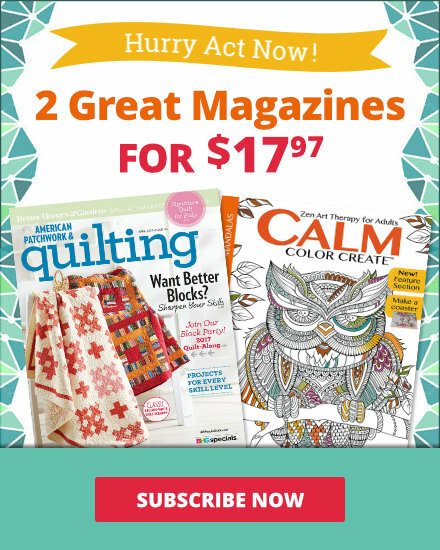 You'll be quilting like a pro in no time! "Remember when you first took driver's ed? You probably were gripping the wheel as tight as you could and you had an expert driver sitting to your right. Well, we're doing driver's ed for long-arm machine quilting today with Angela Walters, Handi Quilter's ambassador and expert long-arm machine quilter. Angela, when I first started machine quilting, I would hang onto the handles for dear life, hunker down over the needle, hold my breath, turn the machine on, and start to quilt. And it felt like maybe my feet were nailed to the ground, because I wouldn't move. I'd hunch my shoulders up, I'd stitch as far as I could, and then I'd get nervous about where I was going to go to next. And I'd forget that I could stop the machine. And about that time, I would gasp and wonder what came next." "I think you've made every mistake you can make when driving a long-arm machine, but that's good. I can help you figure that out." "Alright." "Well, the first thing is you can't be tense. If you are grabbing on to that machine and hunching over it, your quilting's going to reflect that. This machine moves on two sets of wheels, so think of it working that way. It's made to be able to move with just the touch of your fingers. I still hold onto it, but don't clench it. Have a nice, light grip. But the thing that will really save you a lot of back trouble down the line is to keep your posture right. Instead of hunching over, think of it as a dance frame. You want to keep your shoulders back, you want to be relaxed, and you want to keep your hands loose just like this. And it helps you get that light momentum. And another thing is to get that momentum, and if you're bending over, it's not going to flow as easy. So you want to also move your body a little bit, kind of get into it. And it'll help you get that momentum going and move on to the next design." "The other great piece of advice you give in the classes is to remember to breath. 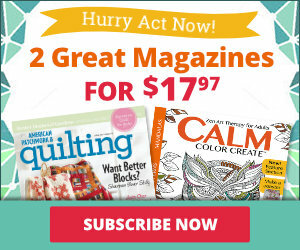 You'll be amazed how often as you're quilting along, you're holding your breath. And to remember also that the break on the long-arm machine is in the handle. And all you have to do is hit the stop button. Your feet aren't nailed to the floor, so you can move and walk along as you're quilting, but just remember to relax." "Exactly. And when you're really thinking about it, and you're kind of tensing up, you will forget to breath. And it's funny, you will hear some people in the class breath in suddenly. Just relax. I think when you stress our about it or you're over thinking it, is when you're not going to have fun. 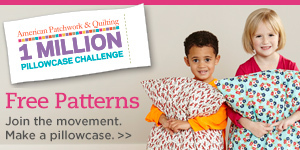 And quilting is supposed to be fun." "It is supposed to be fun, so take these tips for how to drive your long-arm machine from our expert Angela and enjoy the ride."